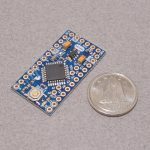 The MicroView is the first chip-sized Arduino compatible module that lets you see what your Arduino is thinking using a built-in OLED display. 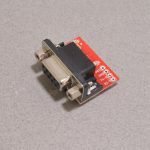 This SparkFun MicroView USB Programmer connects directly to the MicroView and lets you not only program the module, but use it to interface with your computer, Raspberry Pi, or other USB device. 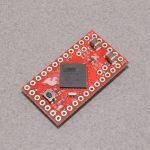 The programmer has both male and female headers which allow it to be plugged into a MicroView module and a breadboard at the same time, making prototyping quick and easy. Please Note: A MicroView OLED Arduino Module is NOT included with this USB Programmer. SKU: ACC-030. 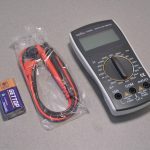 Category: SparkFun. 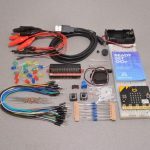 Tags: Arduino, Microview, SparkFun.